Pokervideosnow.com is Live! 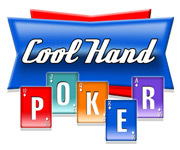 You can watch poker related videos earn points and play poker for free. With you points you can join Freerolls and special Sattalites to WPT, WSOP, EPT etc. Come and join for free, become the next champion.